The Cascades Science Center Foundation has chosen the Pythagorean Theorem to be its logo. 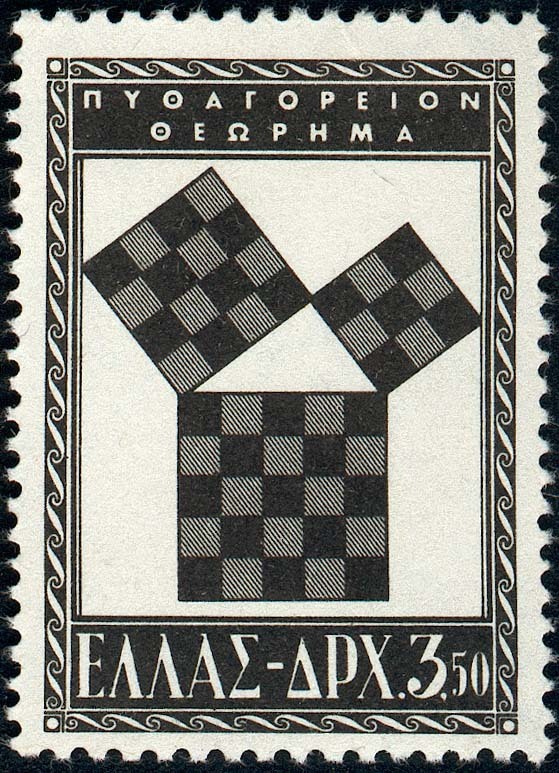 Ellis Corets, the President of Cascades Science Center Foundation, got an inspiration for this logo from a Greek postage stamp, depicting pythagorean theorem. The important thing is not to stop questioning. Curiosity has its own reason for existing. One cannot help but be in awe when he contemplates the mysteries of eternity, of life, of the marvelous structure of reality. It is enough if one tries merely to comprehend a little of this mystery every day. Never lose a holy curiosity. Cascades Science Center Foundation Phone: 425-746-9464 Address: P. O. Box 275 Bellevue, WA 98009-0275 U.S.A.